Yahoo Bing Contextual Ads Network (Media.net) is now popular ads network. Many blogger run after this but don’t easily approved from it. 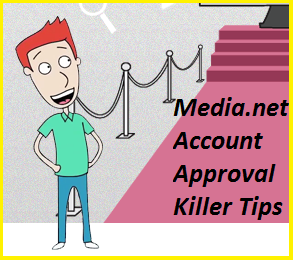 For that reason, here I give some awesome tips to get your site or blog approved. Use paid domain such as .Com, .Net, .Org etc. for your site. That carries more value for your site. Before application here you must thinking about your age of your site domain. It is will be best if your site Domain age ¾ months old. Traffic is the one of the great factor for approving your blog. So improve your SEO improvement in a white hat way & index your all post link in search engine. Make 1000 page views per day. Because they do not give approve in low page views site /blog. Make easy to navigate your blog. Good and Professional out looking.